... you have come to the right place. Find career articles, resource links, and other tools for students, freelancers, job-seekers and employers. There are several basic steps every company should complete to increase their ability to contract in the marketplace. Find links to prepare for doing business with the government. Use this tool to get information directly from SBA. Designed to help you find satisfying jobs in the business world. Whether you're angling for a fast track investment banking job or a fulfilling non-profit career, you'll find what you're looking for here. Careers-in-Business.com brings you the latest scoop on various business career areas including jobs, salaries, what people are saying and entry requirements. 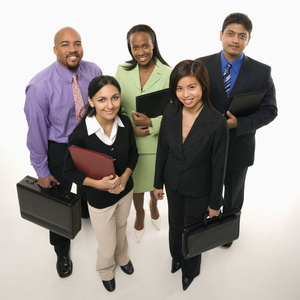 Post Your FREE Resume Today to attract top employers! With your FREE My Monster Account, you can: Set up job search agents and have your dream job emailed to you and Access more career tools, advice, & information. Business Administration & Support Services, Accounting, Auditing, Banking, etc. Information on internships, co-ops, summer jobs and part-time work throughout the US and internationally. InternJobs.com - Kickstart your career! InternJobs.com is a global database of internships and entry-level positions for students, recent graduates and career changers. Search our job database by keyword or by location. Indicates site has business internships available. Reach thousands of talented job seekers, students and recent graduates. We offer effective solutions for employers and recruiters searching for the right candidate. Post internship jobs & entry-level jobs FREE. Post Multiple Jobs and Save on Monster.com. The Best Talent is on Monster.